Horizon is known as a haven for golf enthusiasts given its close proximity to the Midlands golf course. 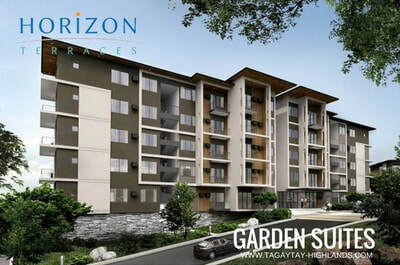 True to its name, residents are treated to the breathtaking Tagaytay horizon and surrounding panorama sights that provide a sense of calm, perfecting the getaway. Adding the active touch is the wide-array of recreational facilities available for residents to indulge, as property purchase comes with membership rights at the Midlands Golf Club and the Country Club. But Horizon does not want to stop there. Fulfilling the lifestyle that suits the ideals of refined and dynamic individuals is the latest addition to this thriving community of nature and adventure lovers. 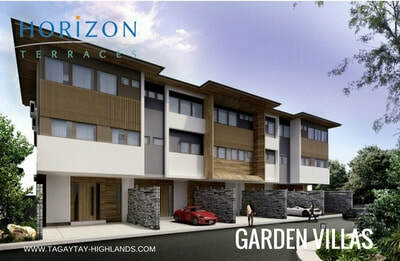 Following the beautiful terrain that makes up the vibrant Horizon village comes Horizon Terraces Tagaytay Highlands’ most refreshing take on holistic living that takes inspiration from the radiance of nature that surrounds it. This first integrated development offers a residential mix of low-density, low-rise Asian contemporary garden villas and suites sitting on 3.2 hectares. Each unit purchase at Horizon Terraces is bundled with membership rights at the Midlands Golf Club, being only a few meters away, along with exclusive access to an extensive selection of world-class amenities and recreational activities at The Country Club. The Club boasts of new outdoor activities such as the Aerial Walk, Sporting Arrow, and Pedal Go Kart Racing and other sports facilities for swimming, tennis, bowling, and badminton. Tagaytay Highlands is home to famed specialty restaurants that have been a personal favorite of members and residents – the Highlander Steakhouse and Highlands China Palace. A wide variety of gastronomical outlets is also available at the Gourmet Avenue. Horizon Terraces is another dream come true for individuals and future families in pursuit of an urban escape closer to nature but more importantly the perfect home to spend sweet quality time in the comforts of those who matter the most.